E3 and other such expos are a time for looking forward more often than not. We see the upcoming titles that will define our future gaming experiences, and we continuously hope for that exciting surprise hardware unveiling, but this desire for updated processing power is often ill placed. After all, for all the good that the Xbox 720 and PS4 will do, PC gaming is always ahead of console gaming when it comes to graphics. Indeed, there are plenty of PC games that already look good enough to be in the next generation graphical ballpark; and we’ve rounded up ten of them for your perusal. For more exciting features, take a look here. Do you agree with the list above? If not, what games do you prefer? What games are you looking forward to in 2013? Let us know your thoughts in the comments section below. 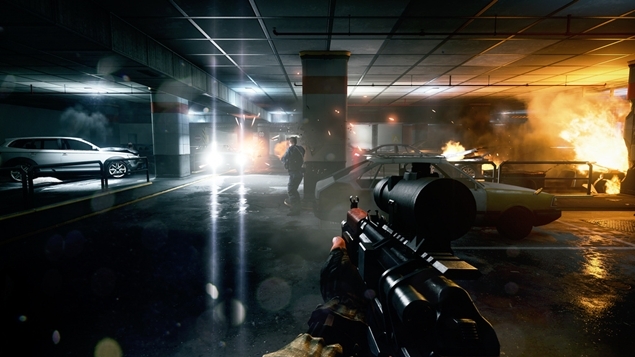 EA's attempt to match Battlefield 3 against Call of Duty: Modern Warfare 3 meant that it was widely adopted by the console crowd. Whilst this wasn't a bad thing, the disappointing frame rate of BF3 on consoles doesn't do the game true visual justice. On a decent gaming rig, EA/Dice's shooter is a thing of beauty with silky smooth animations and detailed environments immersing the player like nothing else.